Audio streaming is more popular than ever before. Podcasts, internet radio, and other types of audio content are extremely common. There are more than 500,000 active podcasts listed on the iTunes store, with many more on other services like Stitcher. This blog will look at how to choose a live video streaming solution for streaming live audio. Specifically, this piece will look at the rise of podcasting and online radio. We’ll discuss why a live video streaming solution is ideal (somewhat paradoxically) for streaming audio and hosting. After that, we’ll look at some of the key features for audio streaming and how to get started. 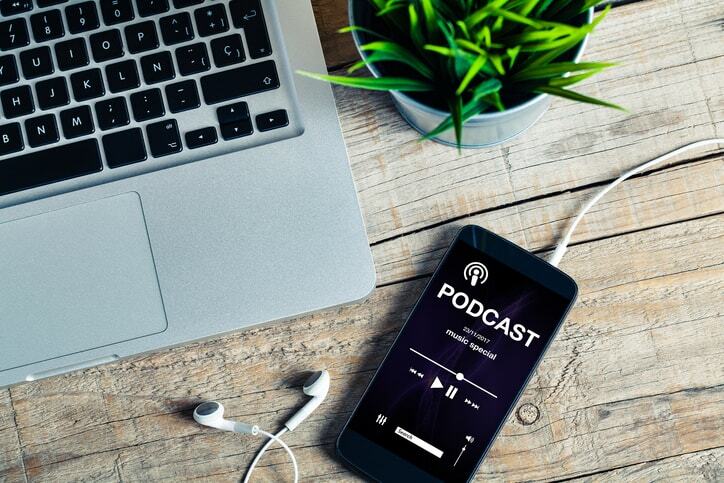 As of 2018, more than one quarter of the U.S. population listens to podcasts at least once a month. That’s nearly 90 million people. When you consider the global audience, the potential audience size rises astronomically. 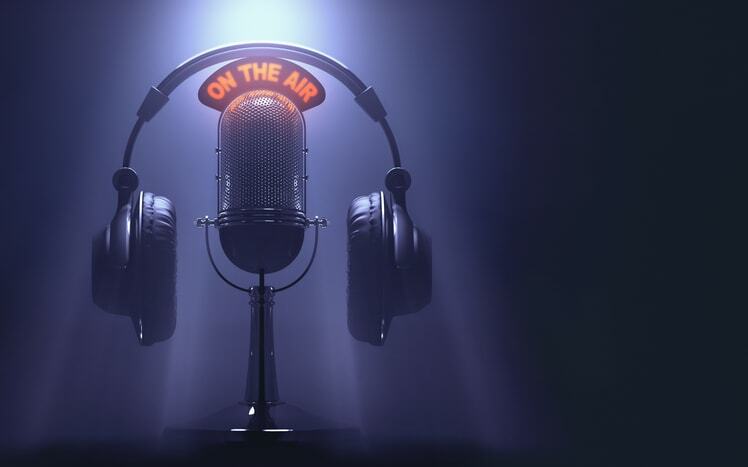 According to Edison Research, half of all people in the U.S. listen to online radio on a monthly basis, and this figure is still on the rise. That’s a potential audience size of 120 millions listeners! This statistic is up 6% from 2012, and a staggering 28% since 2003. Taken at the weekly level, 33% of all internet users listen to online radio. 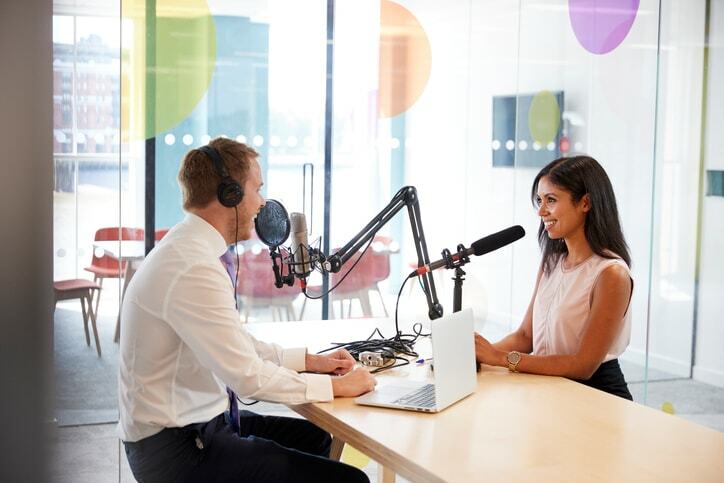 When you’re looking for a podcast or radio station hosting service, it’s easy to think that an audio-specific solution is best. However, there are multiple reasons that may not be true. A live video streaming solution is usually capable of audio-only streaming, and many organizations find that broadcasting live audio via a live video streaming solution is actually more suited to their needs. Let’s look at a few reasons why this may be the case. Most podcast hosting services are made for hosting and delivering pre-recorded content that isn’t time sensitive. Meaning they aren’t well suited for live broadcasts that are scheduled or meant to be running 24/7. In contrast a live video streaming solution provides the functionality and power for live streaming, whether it is a scheduled event or a broadcast meant to run continuously around-the-clock. That includes distribution via a powerful live streaming CDN (Content Delivery Network) for scaling to reach large, globally distributed audiences without buffering or lag problems. Not every solution has this functionality however, so make sure to do your research! Storage space is another of the largest differences. More storage allows you store more podcasts and reuse them forever. One popular podcast hosting service costs $75 per month for 1.5 GB of monthly storage. In comparison, we offer 20 GB of storage for just $19 per month with an annual Starter plan. If you need more storage, you can upgrade to 200 GB for $125 per month. Another major feature is monetization support. A live video streaming solution like DaCast provides an easy-to-use paywall that is integrated in a white label player, offering pay-per-view and subscriptions. Streaming audio makes up an increasing proportion of music industry revenue. This is a substantial revenue stream that you can tap into via monetization tools, ideal for special guests or other types of shows. Video hosting plans may also include some perks that podcast hosting services don’t include. These features include features like analytics, API access, security and access control features, M3u8 playlist support, and more. Getting started with broadcasting live audio is relatively simple. All you need is a quality microphone that can be connected to a computer. Most broadcasters use USB mics or XLR mics connected via some sort of sound board. Once this is setup, you can pull that audio feed into a live broadcasting software application. Once this is done, you can connect your software to your online video platform. This involves entering the streaming information of your video content (provided by your live streaming solution) and enter your encoder settings. At this point, you are ready to begin a live broadcast. All you have to do is press the correct button in your live stream broadcasting software to begin the show. Of course, another key element is embedding your live stream in the correct location. Most online radio stations embed a player right at the top of their website. You can also embed on the websites of partners/advertisers, individual shows, DJ/host blogs, and so on. The process of embedding a live feed using DaCast is easy. To do so, login to your account. In your list of live channels, click on the radio channel you want to embed. Remember that you can have multiple simultaneous channels, so choose the right one. For quick sharing among your network, you also have a “share code” which is a simple URL where your followers can directly access your podcast. Then, you can go ahead and submit your podcast via iTunes podcast connect. The process is similar for listing on Stitcher and Google Play. Forty-two million Americans listen to podcasts weekly. Many others listen to online radio stations. You can reach that audience if you create compelling shows—and if you have a reliable hosting service. If DaCast sounds like a live streaming platform you’d like to try, you can sign up for our 30-day free trial (no credit card required) below. That way, you can test out all of our great features before making a commitment, and we can answer any questions you may have during the process. Still have questions or comments about our service for broadcasting live audio before giving DaCast a try? Let us know in the comment section below, and we’ll do our best to respond as soon as we can. For regular tips on live streaming and exclusive offers, we also invite you to join our LinkedIn group. Thanks for reading, and good luck choosing the right streaming service for your radio broadcasts! Which CDN Does Your OVP Use?